Getting a copy of my published recipe cook “What’s for Dinner?“ was an amazing feeling. Ayaz and Faraz had been telling me for several years to publish it, and I actually had most of the work done and saved from a few years ago. So when I decided to go for it, the process was relatively quick and easy for me. If you follow me on pretty much any social media, you will see that first and foremost I always describe myself as Arham’s Mama. It is who I am and it is what m akes me most proud and happiest. This book is no different. It’s for him. I want Arham to know I’ll always be his number one fan in anything he wants to do [as long as it’s in good faith]. 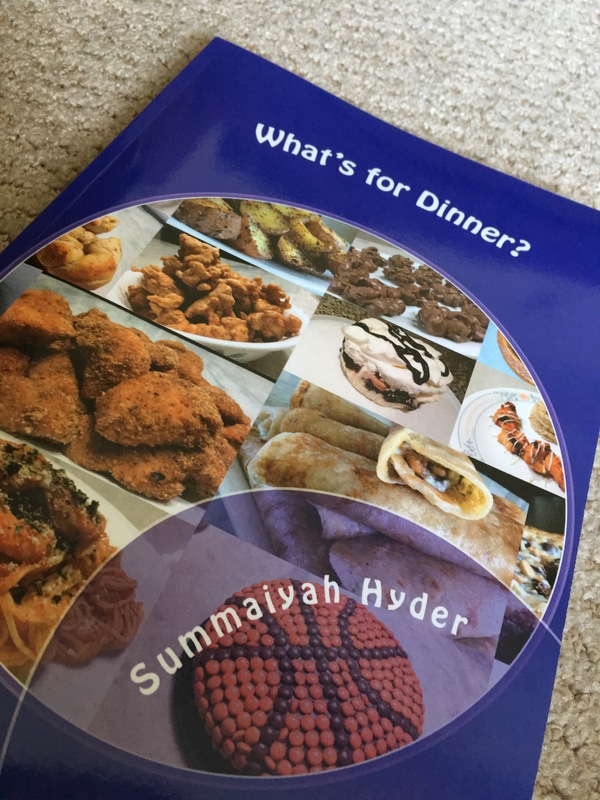 Have you picked up your copy of ‘What’s for Dinner?‘. I’d love to hear feedback. Have you tried any of the recipes? Let me know what you think! 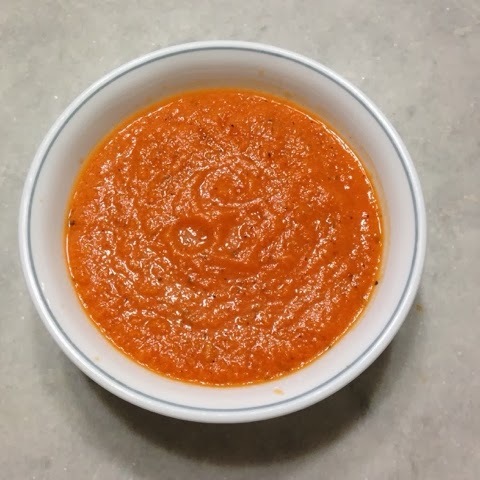 A few weeks ago my cousin made tomato soup on a cold day that was absolutely delicious… and I finally made it today. What I love about it is how easy it is to make, the fact that I didn’t need to let it roast for 40-60 minutes [I just used the broiler instead] and that it didn’t need chicken broth, cream, or anything of that sort. Simple, quick, and delicious. My kind of recipe. Season the halved tomatoes, sliced onion, and garlic cloves with salt and pepper. Drizzle with olive oil. Set under the broiler until they are roasted. Doesn’t take more than 5-10 minutes. Blend everything in your blender until it is nice and smooth. Add basil and oregano and warm over low heat.